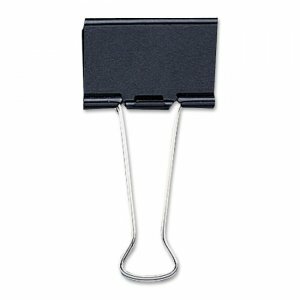 Binder clips provide a powerful grip to hold large stacks of paper in place. Nickel-plated wire arms fold flat in front and back positions. Each clip is made of tempered steel.